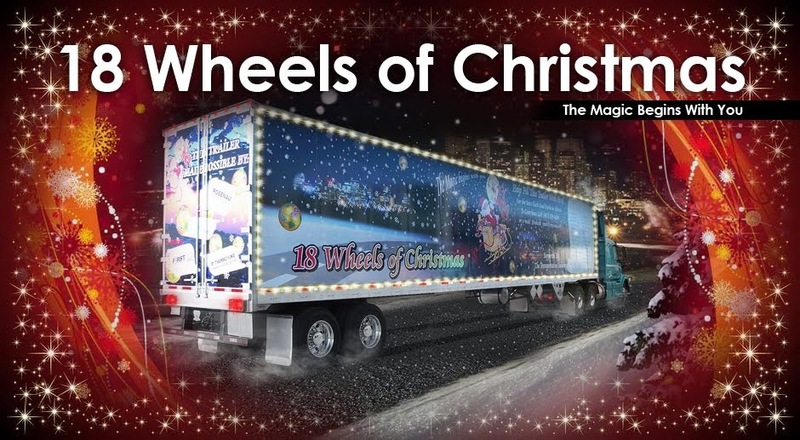 18 Wheels of Christmas: Saskatchewan Has A New 18 Wheels Partner ! Saskatchewan Has A New 18 Wheels Partner ! It is always a pleasure to pick up the phone and get an offer of help on the other end for this worthwhile cause but the call we received today was extra special. Nicole Sinclair from the Saskatchewan Trucking Association called Carrie Willey and asked if we could partner up in Regina at their location to collect on behalf of the Regina Food Bank ! Naturally, Carrie jumped at this opportunity and the phone lines were buzzing. Her first call was to Todd McCauley at the The Regina Food Bank who was very grateful for the help. Stay tuned for more details on the when and where! And a Huge Welcome Aboard to the Saskatchewan Trucking Association! Thanks for pulling together with us for those in need! Live and On Location ! Santa's Elves are hard at work !